It might not fulfill a prophecy, but the discovery of a seal that likely belonged to the prophet Isaiah is definitely worth mentioning. The damaged seal, found at the foot of the Southern Wall of the Temple Mount outside an ancient royal bakery during the Ophel excavation reveals ancient Hebrew text and part of a grazing doe. News about the discovery of a 2,700-year-old seal in Jerusalem that likely belonged to the Prophet Isaiah is rippling across both archeological and religious worlds. “We appear to have discovered a seal impression, which may have belonged to the Prophet Isaiah, in a scientific, archaeological excavation,” Dr. Eilat Mazar wrote. 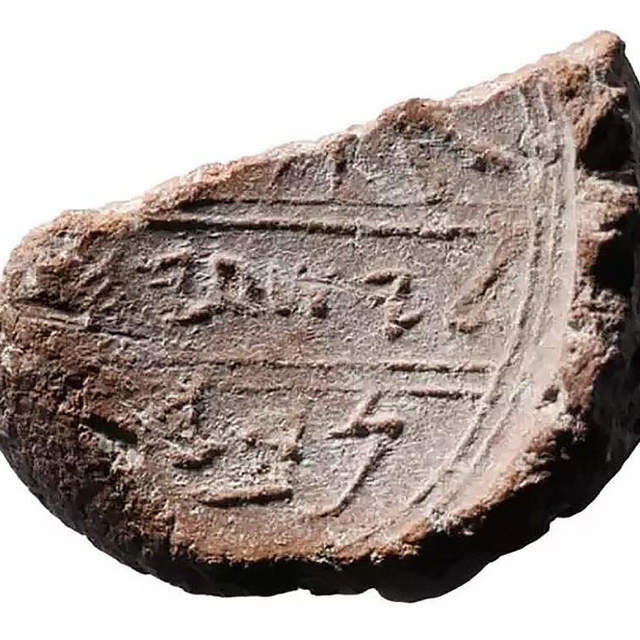 First discovered by Dr. Eilat Mazar in her Jerusalem excavations and announced in a Biblical Archeology Review article titled “Is this the Prophet Isaiah’s Signature?,” the seal impression comes with a number of clues to its original owner. 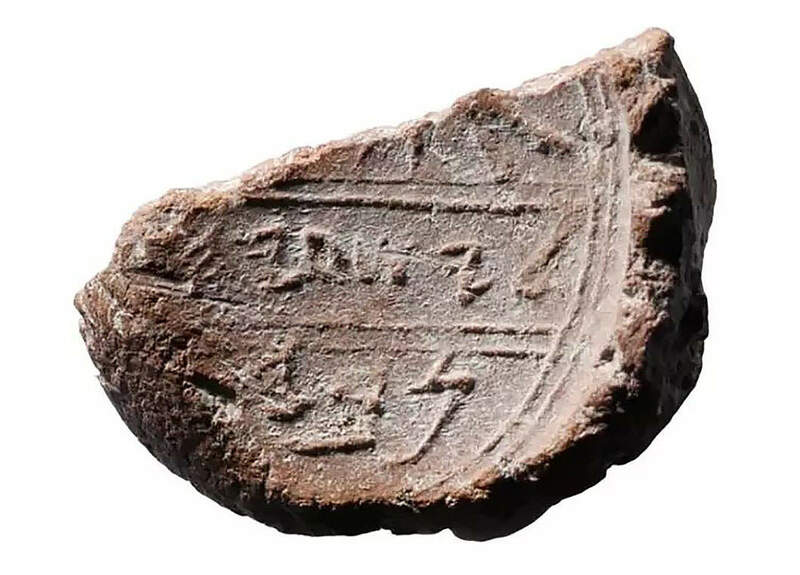 Researchers speculate, based on a partial inscription, the time and location, that the clay impression belonged to the biblical Prophet Isaiah. OK, speculation aside, here is what we for sure know. What is it, exactly? A 1.3 centimeter clay impression, or bulla, with distinct markings and the top half broken off at an angle. Where was it found? At the foot of the Southern Wall of the Temple Mount outside an ancient royal bakery during the Ophel excavation. Now that we have that out of the way, back to the speculation. After all, there is decent amount of contextual information here to reasonably suggest that this is indeed the seal of Isaiah. First, the timeline lines up. The clay relic is dated to be 2,700 years old placing it in the eighth century BCE, which is when the prophet in question lived. Second, Isaiah’s seal isn’t the only clay tidbit dating back 2,700 years to have been discovered recently. Almost exactly two years ago in December 2016, only ten feet away from where they found this new seal, excavators discovered in a collapsed building adjacent to the Temple Mount a seal about the size of a grape that read “Belonging to Hezekiah son of Ahaz, king of Judah.” Why does the seal of Hezekiah matter? Because, Isaiah was a close adviser to King Hezekiah in the Kingdom of Judah, as detailed in the Bible. Finding these artifacts so close to each other almost seems reflective of the close relationship between these two key figures of the era. Coincidence? I think not. Even so, it is not 100 percent certain that this is what we think it is. Researchers have pointed out that without the final alef in the word “prophet,” the Hebrew, נבי (n[ah]vy) might just be the surname of another Isaiah. Then again, it is within the boundaries of ancient Biblical Hebrew to leave off the silent letter alef, and when the word for prophet appears in the verbal form, there is no alef. Just saying. This find joins an even more recent discovery of a seal that read “belonging to the governor of the city” dating to the same era, which effectively proved the existence of a Jewish governor over the city of Jerusalem at that time. I like to think that the break in the seal happened when someone, perhaps King Hezekiah himself, opened a scroll of prophecy written by Isaiah, to read a word from HaShem.